Afternoon - I am back with another card I made for CAS-ual Friday Challenge. This will be short, sweet and to the point. I wanted to use some of my new card stock that I purchases from SU!. It is one of the new In Colors called Calypso Coral. I used one of my favorite back ground stamps from Hero Arts - with the same ink color. Then I added my sticky strip, and my greeting comes from Hero Arts as well. I topped of my card to bring out the black ink with some black silk ribbon. Beautiful card! 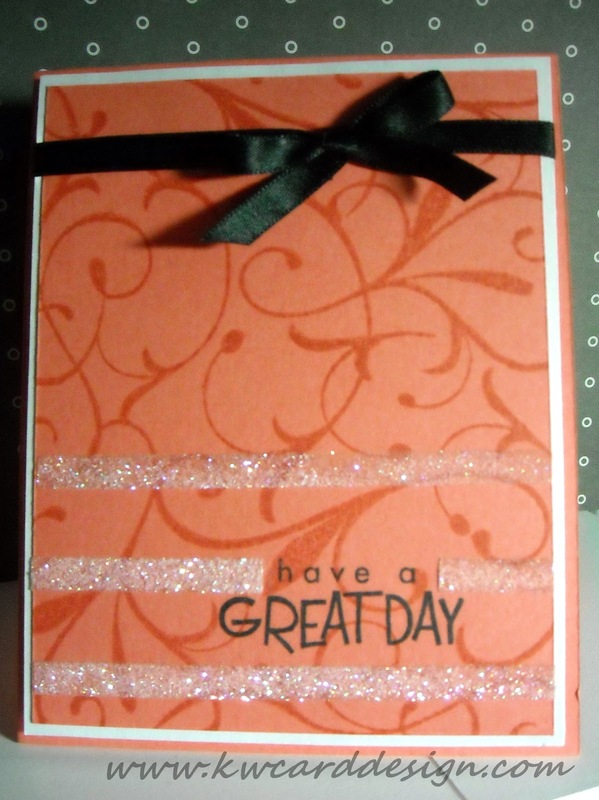 I love the way you split up the middle glitter line with the sentiment- it frames it nicely!! !